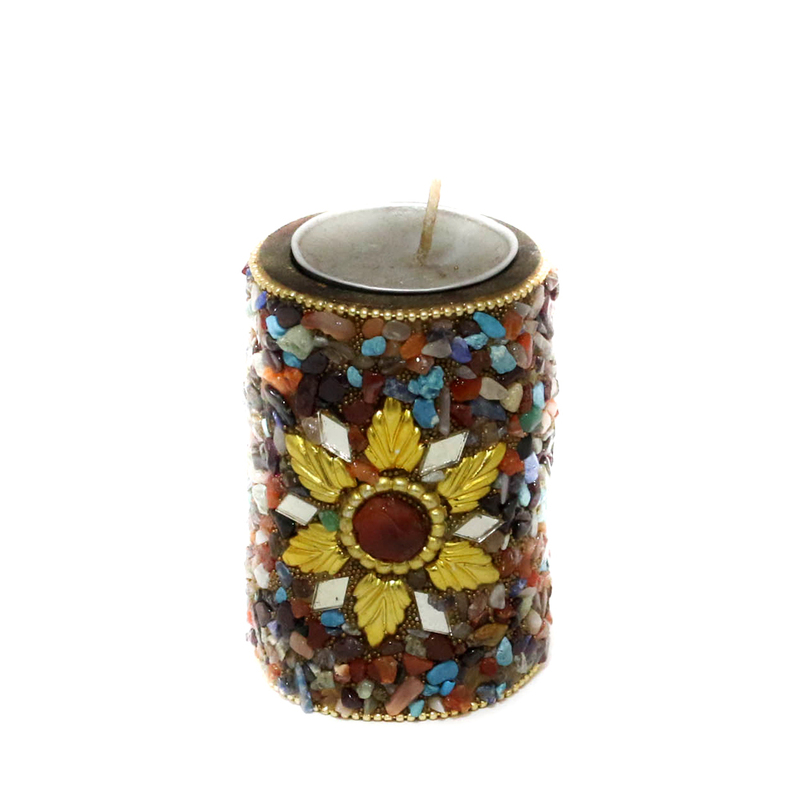 Gear up your surroundings with this beautiful T-light candle which performs multiple purposes. This candle will not only help light up the surrounding areas but Read More..also beautify the entire environment with its absolute design work. The candle stand is outlined with beautiful stone work depicting colorful flowers. The stone work is illustrated in the form of a mosaic which definitely adds life to the adjacent areas. Show Less..